The Monsters Are Back Trailer – I’m Sorry: Season 2! truTV has announced the return of I’m Sorry – a family comedy that’s more a comedy about a family than, say, family friendly. Cringe comedy at it’s cringiest, I’m Sorry returns on Wednesday, January 9th (10/9C). The season two trailer – and a season one recap if necessary – follow below. Katy Perry, Ed Sheeran Among Performers Announced for 2017 iHeartRadio Music Awards! Katy Perry, Ed Sheeran, The Chainsmokers, Shawn Mendes, Thomas Rhett, Noah Cyrus and Big Sean join the previously announced Bruno Mars as performers at the 2017 iHeartRadio Music Awards. The fourth annual iHeartRadio Music Awards, hosted by Ryan Seacrest, will air live on TBS, TNT and TruTV on Sunday, March 5th. Amy Sedaris Series Greenlit at truTV! I’ve been doing this show in my head for years. It will be terrific to get it on TV so I can free up some wiggle room up in my skull, said Sedaris. The series will go into production this summer. For more, follow the break. Bobcat Goldthwait Series Greenlighted by truTV! truTV has announced the greenlighting of scripted series Bobcat Goldthwaite’s Messed Up Stories – a genre-crossing anthology series from the director of such satirical films as America’s Greatest Dads and God Bless America. The first season will be episodes and will air in 2017.
truTV also renewed Comedy Knockout, and added episodes to Fameless and Greatest Ever. For details, follow the jump. truTV Unveils Spring Premieres; Adds Late Night Snack! truTV has announced spring premiere dates for its slate of programs – including new series Late Night Snack, a show that premieres a range of fresh, funny comic shorts before they hit the internet. Hidden camera hit, The Carbanaro Effect (pictured) premieres on March 23rd; Hack My Life returns on March 29th; comedy-centric docuseries truInside premieres on February 29th; Late Night Snack’s series premiere is March 3rd, and competition series Comedy Knockout returns on April 29th. For full series descriptions and premiere times, follow the jump. truTV Renews Billy, Adds Adam & Greenlights No Dumb Questions! truTV has renewed Billy on the Street for a fifth season; ordered additional episodes for the first season of Adam Ruin Everything and greenlit No Dumb Questions (working title). No Dumb Questions will feature a panel of comedy journalists asking ‘the questions you didn’t think to ask, but once you hear them, you have to know the answers. For further details follow the jump. truTV: And Now For Something Completely Different – Fewer Commercials! truTV is doing something pretty amazing: increasing the number of minutes of programming by 21% per hour. The result will be the lowest average commercial time on television. What does that mean to the average truTV viewer? If the average hourly program runs, let’s say 42 minutes before commercials are counted, that same program would now run almost 51 minutes – a content total that hasn’t been seen on a regular basis since the 1950s. Why is truTV doing this? Follow the jump for all the details. What are you super into? What’s the thing that’s totally hooked you? Cars? Movies? Celebrities? 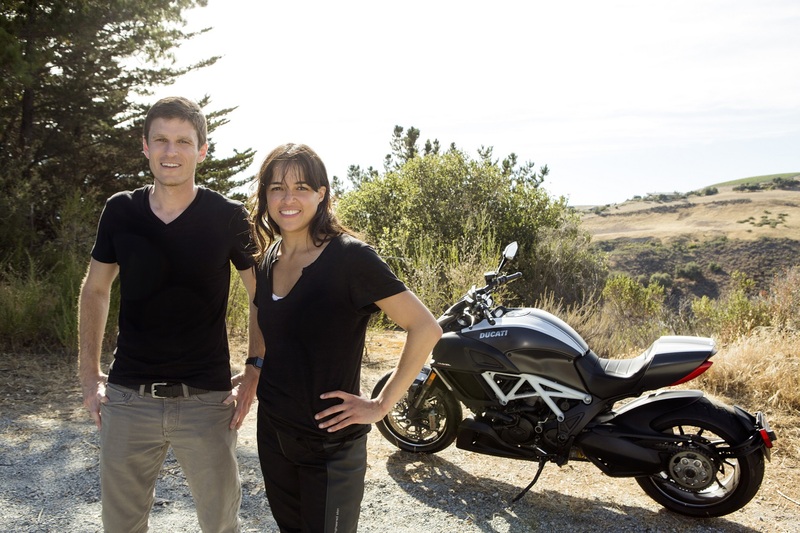 truTV is launching a new series – Super Into, hosted by Kevin Pereira – that explores the things that celebrities are super into – Rob Corrdry, for instance, is super into astronomy; Michelle Rodriguez is super into motorcyles. You get the idea. Super Into premieres on Monday, October 26th (10:30/9:30C). Check out the fascinating teaser after the jump. truTV Orders First Scripted Comedy – Those Who Can’t! The series was created by – and stars – Adam Cayton-Holland, Andrew Orvedahl and Ben Roy, members of the Denver-based comedy troupe, The Grawlix. Those Who Can’t is set for an early 2016 premiere. For further detail, follow the jump.